Hontai Yōshin Ryū is a traditional jujutsu school, also incorporating the long staff, the short staff, knife, short sword, long sword and rope bindings. 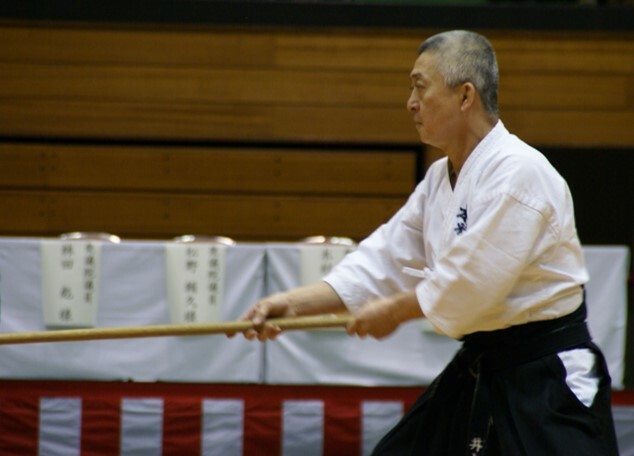 It is a Kobudō (old budō) or KORYŪ (old tradition; old school), member of the Nihon Kobudo Kyokai, which is owned by the Nippon Budokan. The school was founded in the 17th century. INOUE Kyoichi Munenori, the 19th Sōke of HONTAI YŌSHIN RYŪ. In line with the philosophy of our teachers, it is our aim to introduce Japanese culture and to help preserve the tradition and the history of Kobudō.